Bouncers wouldn't accept my Citizen Card as ID. I explained to them that it was Home Office endorsed form of ID, despite the fact they should have already known and recognised it, but I was still refused entry. I then had to travel an hour home on my own because of the inflexible security team. Best techno night out I had in London. Chilled people. Party til 10am. Best club in London? Perfect. Love the layout, the vibe...Music- obviously. If you are looking for a proper techno night out, this place is great. One slight problem- bouncers, all very rude, I heard people complaining about them all evening. ALWAYS a good party, manages to have top DJ's whilst keeping a underground vibe what not many venues can offer. Last visited 7/2/15 for Familia and I cannot express the music coming out of this place, I've worked in Ibiza for two summers and regularly visit Berlin, it could be the best clubbing experience in UK, if not one of the best in the world. 11/10 for Egg! Hi i have been to this club on a few occasions, great if you get in , the bouncers let me just be quite frank ruin this experience they are disrespectful and have a huge chip on there shoulder they should be ejected/sacked they are on a power trip .So I doubt the owners of the club read this or give this a second look please be aware that the tyrants on the door are silly and myself and friends have not been back for sometime !Change the bouncers and make it easier to get in the door so people can do what there best at have fun ! 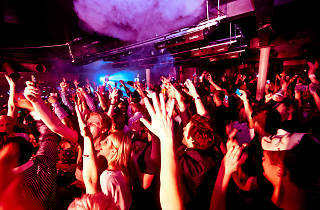 Egg London is the ultimate house & tech night out in London, I have never been left disappointed after visiting. The crowd, the music & the staff all help create the best atmosphere I have experienced in any London club, which is what makes me want to go back continuously for more...if you've not been you've just gotta try it out and have the Eggperience yourself! Best venue in London! Loved music, crowd and atmosphere:) Had such a great time! Def will come back soon! I had a couple of mates from South Africa who wanted to party last week, the party was at the egg. 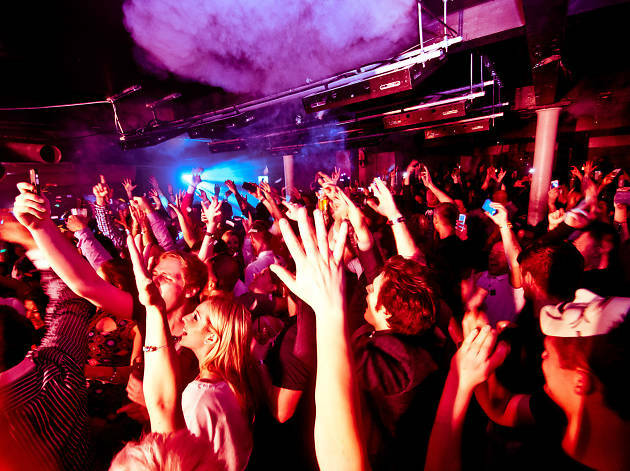 as I am a Fabric fan,like many of my mates and Fabric is the number one club in the planet. I did not fancy going down to the venue, and your mag never says much about the club... Well I ventured down WOW what a venue, SHOCKED the outside the sound the lights WOW WOW..I am now an egghead or whatever you call a person that been converted Turned up for the Layo and Bushwacker the following night,incredible THE BEST CLUBBING EXPERIENCE Keep Fabric number 1,and keep the doDgy crowd there. But egg is something else. Great clubbing experience It has the best bits of the big players - great sound systems and spaces - but every floor still manages to keep the intimacy needed to help both DJs and audience connect. This combination guarantees its unique position in London's club scene. I LOVE IT !! Idea: How about Timeout provide a link to the club(s) they're talking about. Very annoying!